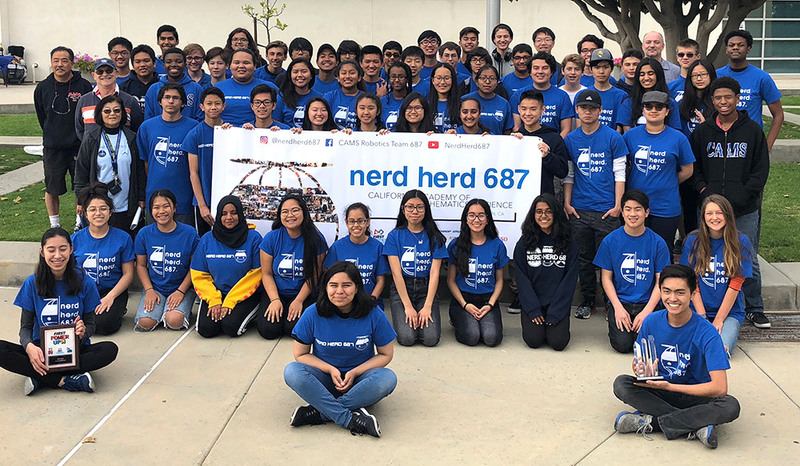 Among the more than 15,000 students from around the world who descended upon Houston for the FIRST Championship international robotics competition last month were members of the self-proclaimed Nerd Herd from the California Academy of Mathematics and Science. “Our season was one of the best yet, with our team ranking second and third at the Las Vegas and Los Angeles regionals respectively, and qualifying for championships,” said CAMS student Richenny Bovannak, one of three team captains. A not-for-profit organization founded in 1989 by inventor Dean Kamen, FIRST (For Inspiration and Recognition of Science and Technology) inspires innovation and leadership in young people through engaging, team-based robotics challenges. The Nerd Herd was knocked out in division semi-finals at Houston, ending their season as third in the Newton Division. Four hundred teams compete at the championship in six divisions, including Newton, all hoping to advance to the highest, or Einstein, division. 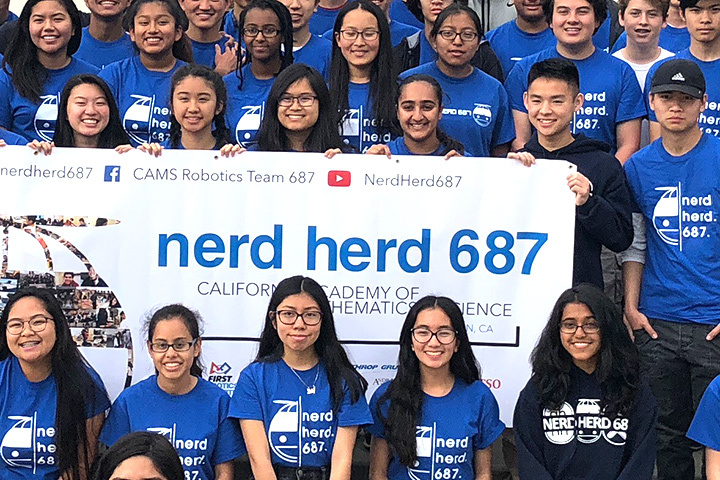 WORLD CLASS – Students from the California Academy of Mathematics and Science Robotics Team excelled at a recent world robotics contest in Houston. The self-proclaimed Nerd Herd made it to the playoff level of championship competition.